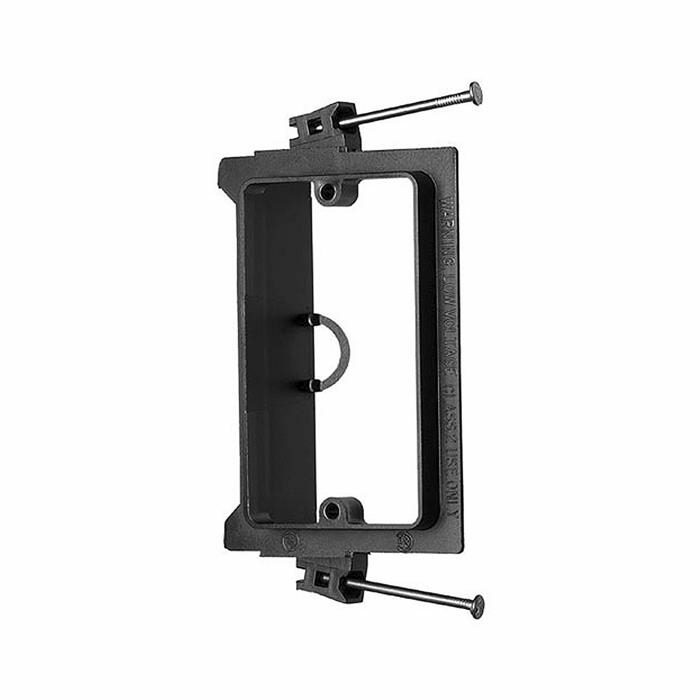 Arlington Industries LVN1 Low Voltage Mounting Bracket features shallow mounting depth which allows for more wires to be run in the wall cavities. The shallow mounting depth also works better with reversible wall plates since the box itself is not obstructing the wire passage. Arlington Industries has also designed their new construction brackets to have a front nail flange as well as a full outer flange for sheetrock to be backed up to ensuring proper support for the sheetrock and proper depth. 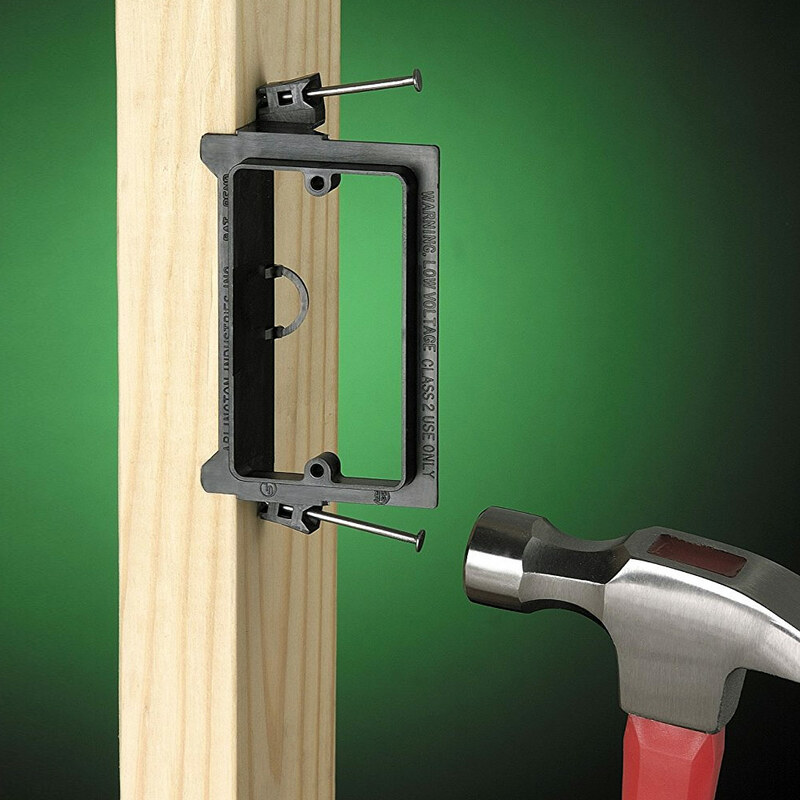 Minimum Sheetrock or Panel Thickness - 0.45"
Side Wall Thickness - 0.080"
The LVN1 Mounting Bracket comes complete with captive nails. All you need is a hammer, and you are ready to install. Also, it features a built-in loop for tying off a cable. It even doubles as its own cut-out template! All in all, the nail-on bracket installs in 25% less time than steel or plastic mud rings – and costs less, too. What’s more, pushback is eliminated with the use of these brackets. Available in two styles: nail-on for wood studs and screw-on for wood or metal studs, these low voltage brackets are made of non-conductive plastic to protect a cable from damage. Choose from Single Gang, Double Gang, Triple Gang or Four Gang styles Arlington offers to fit your custom installation.